Evansley explores young celebrity romance, texting, and social media in her lively, contemporary debut novel. TV actor Teddy Sharpe, 20, is flying from Los Angeles to Miami for a getaway weekend with his on-again, off-again girlfriend. He's flustered because he thinks he's just bombed an important audition for a movie adapted from a bestselling YA book. The attractive young woman across the aisle looks familiar but he can't place her; 18-year-old Bennett recognizes Teddy and the book he's holding (she wrote it), though she doesn't divulge anything. They strike up an easy conversation, and as the plane lands for a stop in Charlotte, N.C., Teddy's flight to Miami is canceled, so Bennett invites him to stay at her family's lake house until he can catch another one. Sweet, intelligent, charming Teddy and accomplished, smart Bennett suffer all the drama and angst of young love, complicated by celebrity status and the power of social media. 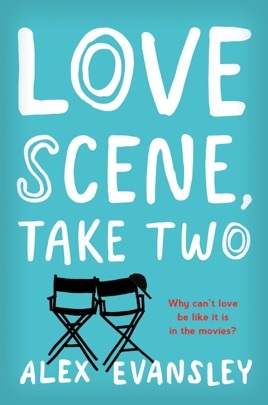 Romance lovers and readers fascinated with Hollywood life (on and off set) should enjoy this flirty of-the-moment tale. Ages 13 18.